We're making pretty steady progress now. 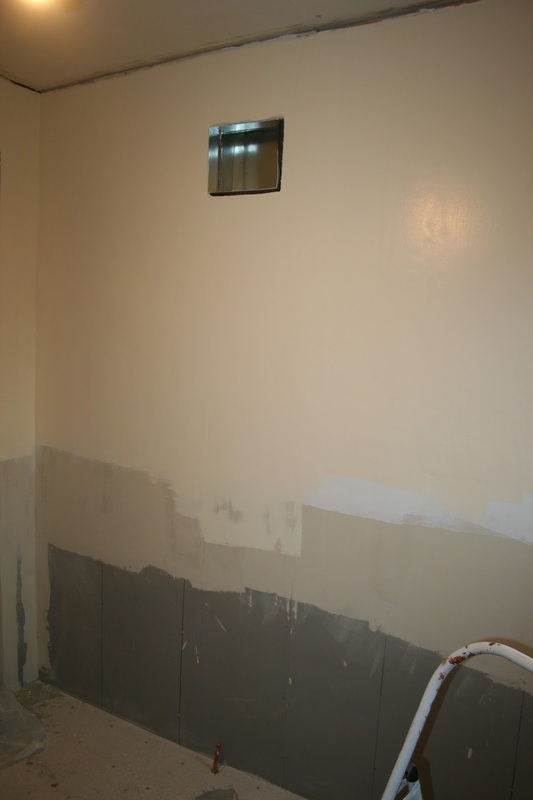 I spent several hours yesterday stripping paint from most of the pile of woodwork we need for the bathroom. I've just got one piece left to finish today. Ironically, this went fast enough that I'm adding to the pile. I'm going to go ahead and strip some pieces we don't immediately need so I don't have to go thru this messy process again for quite a while (I hope). This is the original crown originally installed above the windows. I couldn't find a modern equivalent without having it custom milled so I decided to just strip this piece since it removed in one piece. 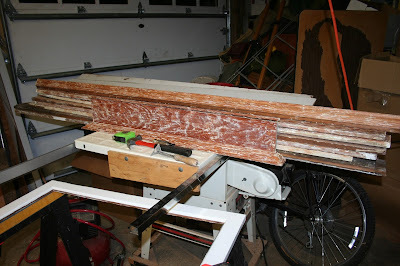 Here is the stack of wood for the bathroom, all stripped with the heat gun. I started on the medicine cabinet door, but discovered it had been painted with one or two coats of paint and that's actually too thin to remove with a heat gun. I'll hit it with chemicals on the next pass. Now I'm left wondering if they replaced the door previously, or if they stripped and repainted it. 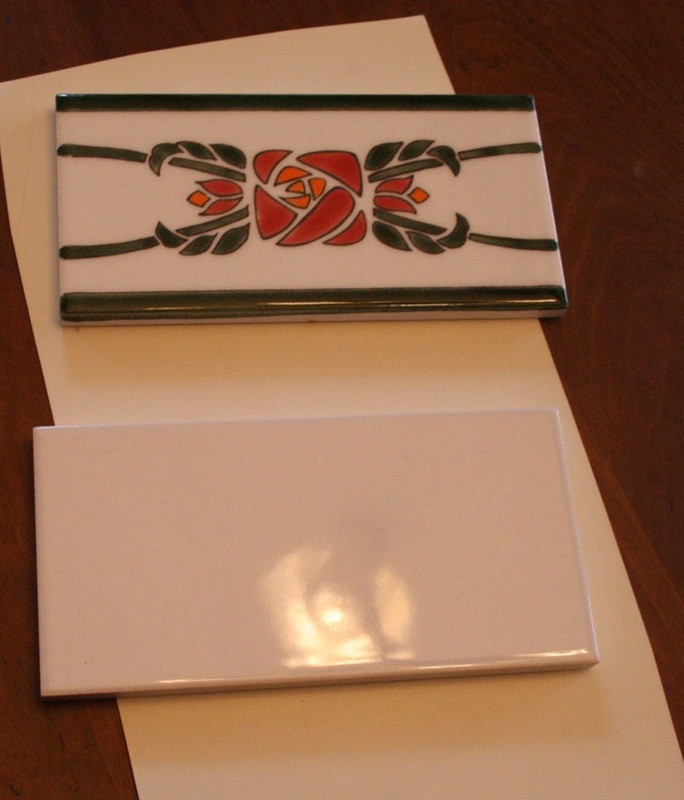 I dug through my period catalogs and my pinterest tile board and I found this nice two-color border from a circa 1900s American Encaustic mosaic tile catalog. Of course we didn't originally order enough green tile to do this new pattern, so we have to order more green, but that hopefully will only delay the project another week. Barrett was planning to start laying the tile floor today, but because of having to reorder the tile his schedule is delayed again. I truly hope this is the last major delay and we'll be able to get started next week. 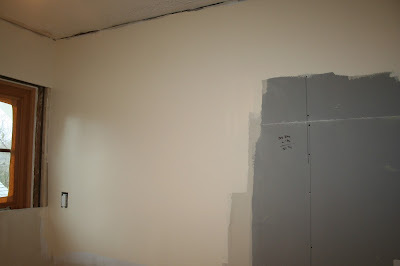 Nice work on the paint stripping, as usual. If the medicine cabinet had fewer layers, perhaps it wasn't painted as often as the rest of the woodwork. I could see Simone leaving it a different color as an accent, much as people do with bathroom mirror frames these days. 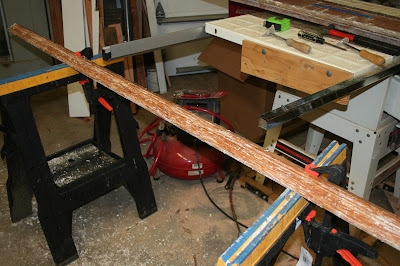 The rest of the woodwork had at least 10 coats of paint (probably more). I'm thinking maybe the paint just got too thick for the door to close property so they were forced to strip it sometime ago. Wow, 10 coats is a lot! One of the arguments I make for stained millwork is that the finish can look good for 100 years, where paint (especially the white so popular now) will soon look dinged and dingy. Much of the oak millwork in our house has its original shellac finish and still looks great 103 years later.